A more typical agricultural landscape--indeed, the paradigm of the western slope of the northern West Bank--is olive terraces on the flanks of deep wadis. The terraces have been built on natural benches created by the limestone strata. 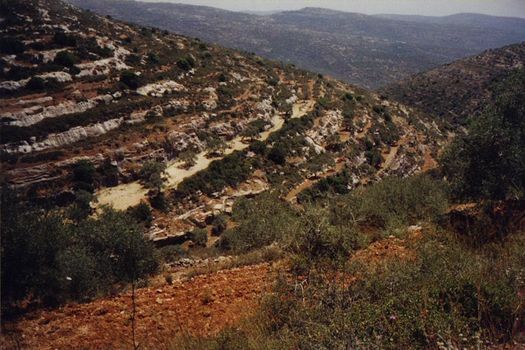 This particular picture is east of Salfit, one of the premier olive-growing areas of the West Bank.